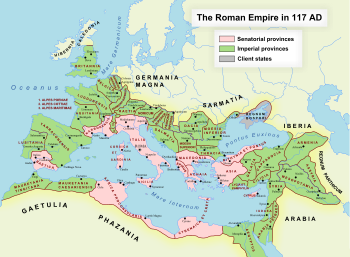 Rome started expanding beyond Italy during the First Punic War. 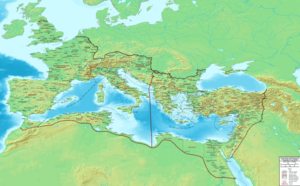 The first permanent provinces to be annexed were Sicilia in 241��BC and Corsica et Sardinia in 237 BC. Militarized expansionism kept increasing the number of these administrative provinces, until there were no longer enough qualified individuals to fill the posts, and good people . 47 AD? ��� Alpes Atrectianae et Poeninae (between Italy and Switzerland), Augustus subdued its inhabitants, the Salassi, in 15 BC. It was incorporated into Raetia. The date of the creation of the province is uncertain. It is usually set at the date of Claudius' foundation of Forum Claudii Vallensium (Martigny), which became its capital (imperial procuratorial province).